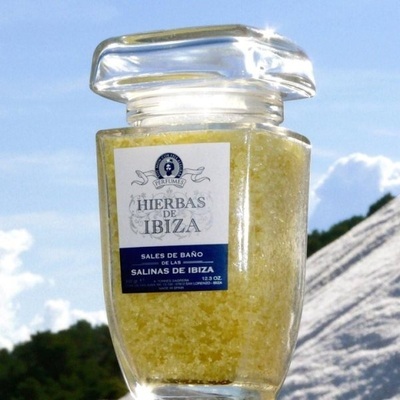 Hierbas de Ibiza Bath Salts are made from the treasured salts found in Las Salinas of Ibiza which were first exploited by the Phoenicians in 700 B.C. 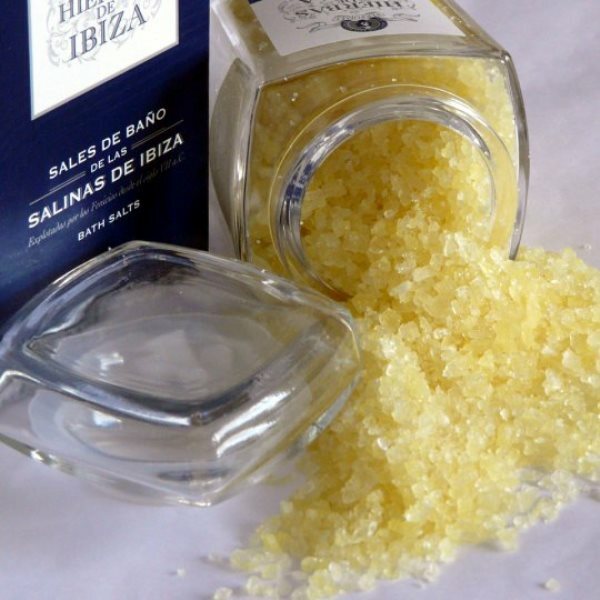 Due to the maximum purity of the salts, modern day bath salts connossieurs will value these crystallized salts for their tranquilizing and relaxing qualities. 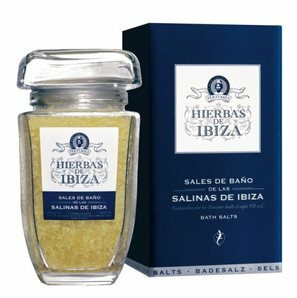 The salts are scented with a fresh herbal fragrance inspired by the unique Mediterranean aromas of the island of Ibiza. It is made with the natural essences of orange and lemon peel, thyme, lavender, sage, verbena, jasmine and orange blossoms. Rediscover the pleasure of a good bath and enjoy its therapeutic, cosmetic and relaxing qualities. The product is available in a glass, 350 gram jar that mimics the ointment flasks used by the ancient coastal Mediterranean townships. There is no substitute for a summer dip in Ibiza’s crystalline waters, but Hierbas de Ibiza Bath Salts will bring the healthy properties of sea bathing back to your home, at any times of year, wherever you live. 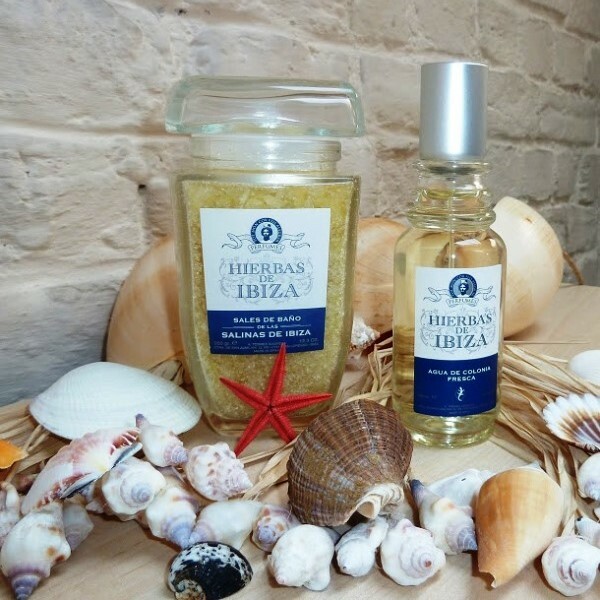 Tripple milled soaps scented with a fresh herbal fragrance inspired by the unique Mediterranean aromas of the island of Ibiza. It is made with the natural essences of orange and lemon peel, thyme, lavender, sage, verbena, jasmine and orange blossoms. HIERBAS DE IBIZA soaps are Aloe Vera extract 100% plant based, which comes from their own plantation, and glycerine. The benefits of the aloe were well known to our forbears for its efficiency in the care and nutrition of the skin.